Our protocols are simply an explanation of how the animal was raised and what practices we used to produce the food. When you click on any item in the store a list of protocols will be listed in the bottom right hand corner. 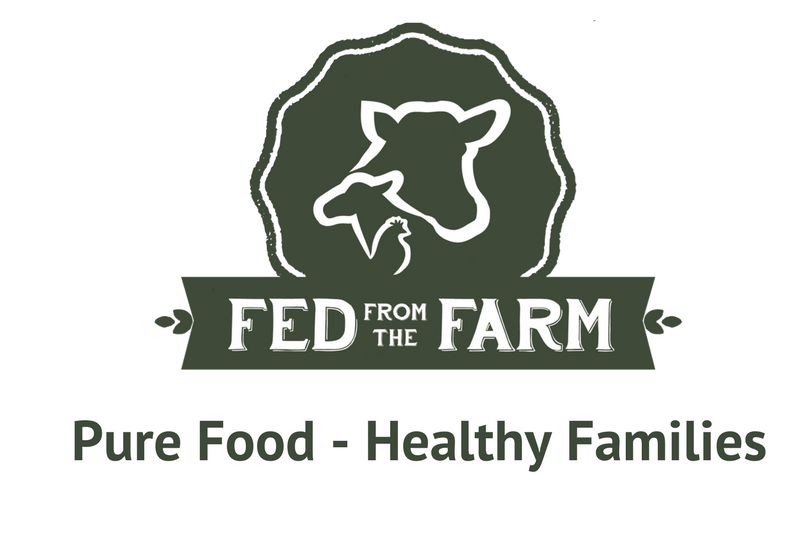 When you purchase Fed from the Farm products you can be confident you know exactly how they were produced. Below you will find a complete list of all our production protocols along with a explanation of what each protocol means. Just like it sounds. The cattle and sheep receive only pasture and the chickens are fed non GMO grain. We take care that even the mineral we use is GMO free. The animal was born, raised, and finished on lush pasture and was never fed grain or grain byproducts or candy, or a high fiber pellet, or any other grain based supplement that most supposedly grass fed cattle are fed (sometimes in feedlots that then sell it as grass fed). The animal never received antibiotics or growth hormones at any time. Just so you know everything we produce and market has never received antibiotics or growth hormones. We are not wordsmithing either. When we say never fed we also mean never received, injected with, or supplemented with in any way. If our animals are sick we will treat them with the appropriate medicine; however if that treatment includes antibiotics the animal will be sold into the commodity market (where supermarket meat comes from). Just like it sounds no nitrates or MSG. We want all of our products to nourish our families not harm them. The animal spends its life with access to pasture (except when seasonally accommodated) in an environment that allows it to express its natural behaviors. Animals are seasonally raised in shelters (during winter or inclement weather) for their health and welfare. They gleefully return to pasture in the spring. Animals were supplemented with Non-GMO grain while on pasture or seasonally accommodated in shelters. We like to call this heritage grain. To call it non-GMO evokes a negative image and sets the standard of grain as GMO. Its time we made a new standard: a heritage standard.